Together with a sedentary lifestyle and an unhealthy diet, our hormones might play a certain role in gaining weight. 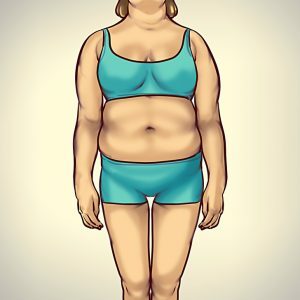 In case you have been on one of the popular protein diets (meaning you eat only meat and have forgotten what carbs look like) for over a month, but your weight did not actually changed, estrogen is probably to blame. In order to balance an excess of estrogen in your body and other hormones, it is actually recommended to minimize the consumption of products rich in protein. 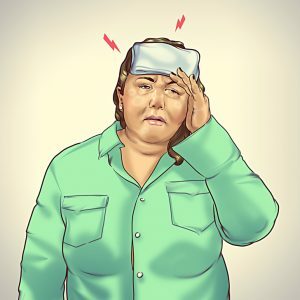 Having high levels of estrogen will actually make you gain weight despite the food you eat and this excess weight is mainly stored on the hips and your menstrual cycle is irregular, you might as well have headaches, or actually become too emotional. A large amount of estrogen might also be the reason for hair loss, some memory loss, and irregular sleep. The buildup of estrogen you might have in the body is caused by eating meat produced under industrial conditions with the use of growth hormones. Substances that are similar to estrogen are actually used in the production of plastics and household chemicals. In order to clear your body of the excess of estrogen, consume less meat, and replace it with vegetables. Some high with fiber foods bind with estrogen and eliminate it from your body. Oats, Flaxseed, apples, and pears diminish its negative impact on the body. The rosemary essential oil can help to restore the balance on the hormones and improve your memory. Having some serious lack of serotonin almost always manifests itself in depression and a bad mood. What is more, persons with a deficiency of serotonin often change their eating habits. 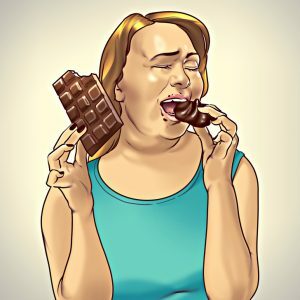 If you are feeling like eating a whole chocolate cake all by yourself or you dream of french fries at night, this is the way your body signals to you that you actually might have a deficiency of the happiness hormone. Some natural sources of serotonin are eggs, nuts, and pineapples. Pineapples in themselves also contain bromelain; this is a ferment that prevents swelling. A little bit of physical exercise and spending more time outside increases the level of serotonin. Ghrelin is one hormone that always determines if you’re hungry or not. 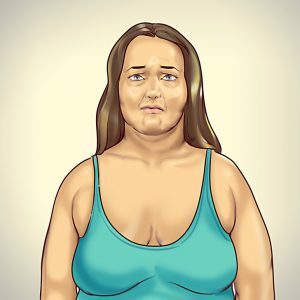 It is quite stubborn: even after a year on a low-calorie diet, the level of ghrelin could still be high (the body will try to store the fat tissue just in case). 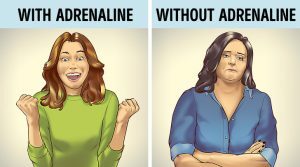 This type of hormones might help us lose weight easily and it also makes it really difficult to keep it on. But, it is quite easy to outsmart it. You will only need to consume products that stretch your stomach — such as vegetables, fruits, grains, and seeds. And after consuming these kinds of foods, the hormonal reaction starts and you start to feel full. Cut down sugar and the processed foods because they are actually high in calories but they keep the level of ghrelin unchanged. Right after eating a cinnamon bun you’ll become hungry again. Sleeping good and no stress are the best ways to keep the level of ghrelin at bay. After six to eight hours of sleep the concentration of the hormone in the blood drops. Caution: do not ever get carried away with lowering the level of ghrelin, it’s an important hormone. So it plays a crucial role in studying and the development of intellectual abilities. In case the concentration of neuropeptide Y is high in the blood, you might end up having a ravenous appetite. 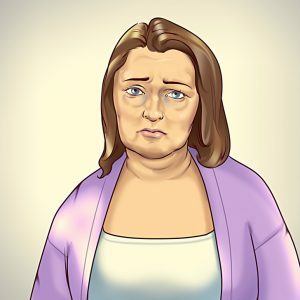 This one can not only lead to simple gain weight, but to actual real clinical obesity. Having excess of neuropeptide Y can cause the fat tissue to be stored in the lower back, hips, and buttocks because of the quick weight gain caused by this hormone stretch marks might appear. The whole body will undergo a real emotional storm: irritability, anxiety, and headaches will appear. You might as well experience some excessive sweating, pigment spots might appear, and blood pressure rises. Exclude from your diet all kinds of foods with a high concentration of sugar in them. Some spices and flavorings shall be banned as well since they often make you hungry. A high level of this one leads to rapid weight gain. Females might be able to notice that hair fluff appears all over their body, a small mustache starts to grow, and their menstrual cycle changes. The excess of this leads to the growth of the mammary glands in men. In case you notice any these symptoms, it is actually necessary that you talk to your doctor since a high level of prolactin might indicate a hypophysis tumor (prolactinoma). It is obvious that , just like any hormonal imbalance of the hormones, having a high level of prolactin should be treated by doctors, but there exist foods that can also help you lower its level. Pay some of your attention to ginseng and ginkgo biloba, because they might help you treat your prolactin imbalance. Glucagon can decrease your appetite and promotes fat digestion. The level of this one decreases after a stressful situation — and that is actually how certain people begin stress eating. But, the deficiency of glucagon might also indicate that there are problems with the kidneys, liver, or the pancreas. In order to increase the level of glucagon, it’s essential to normalize your eating habits. 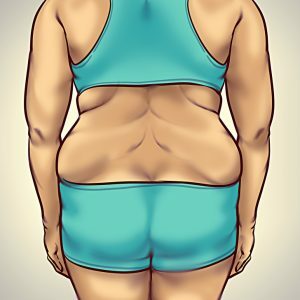 While taking long breaks between meals (without starving), the hormone will digest fat by itself. Some physical exercise might be helpful as well: a half hour workout significantly increases the level of glucagon in the blood. Adrenaline (also called epinephrine) boosts metabolic processes and burns fat tissue. It is as well all about the brightest emotions that you feel under certain (sometimes extreme) circumstances. In case you haven’t felt that rush in your life for a long time now, maybe it’s time for a change. And, lose weight as well. You shall not forget that adrenaline won’t change anything in your body unless you change your eating habits. Moreover, if you cut down on carbs (like white bread, corn, and rice), then the adrenaline, together with somatotropin, will actually start fighting your fat tissue. There are things that can boost an adrenaline rush and they are computer games, horror films, thrill rides, and even public speaking. Include a healthy diet to that and you’ll have the whole package and be on your way to your dream body. This hormone is considered to be the male hormone, but it also plays an important role in the female body. Having excess of testosterone leads to an increase in body weight and fat tissue is stored in the upper parts of the body (arms, chest, and neck). You might be able to lower the level of the hormone naturally. You will only need the help of phytoestrogen in soy, coffee, and whole grain products. The refined sugar should definitely be replaced with dates, sweet apples, and apricots. 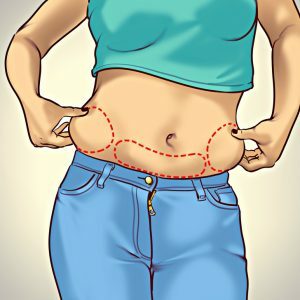 Having excess weight often mean lack of adiponectin, especially in terms the fat is mainly stored in the midsection. If it happened that you were diagnosed with diabetes type II, I is quite likely that the level of adiponectin in your body is too low. Experts suggest that at some point it mightbe necessary to fight excess weight and other metabolic problems with adiponectin injections. They will surely help you lose weight and don’t interfere with your appetite. You should not neglect physical exercise and the best exercise that helps boost adiponectin is walking. It is actually recommended to walk at least 8,000 steps every day. There’s as well a great product that regulates the level of the hormone in your blood — pistachio nuts. Moreover, if you replace carbs in your diet with monounsaturated fats (like avocados, olives, olive oil), the fat will disappear even quicker. All of the info that is presented in this article is for informative purposes only. All of advice shall be considered supplementary. If you are thinking you have any problems with hormones, please consult with your doctor because only a professional can give you the right diagnosis. Do you happen to know of any products that can help you take control over your hormones? So, here you can share your knowledge with us in the comments. Previous ArticleA Month After Eating Two Bananas a Day: The Effect Will Leave You Breathless! !